I bought a few things when I went to Primark in the week so I thought I may as well do another haul. 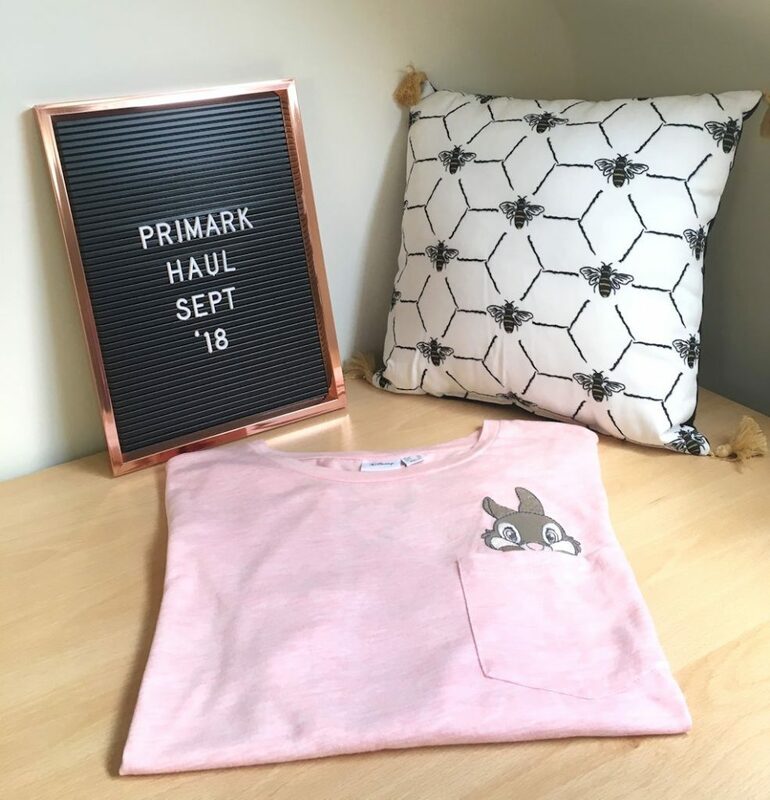 The last Primark haul I did was actually a video on my YouTube channel, you can find that video here if you’d like to watch it – A Primark Haul. This lovely Disney Winnie The Pooh cushion, one side is Winnie The Pooh and the other is covered in bees which is great. I actually saw this on Imogen’s Twitter (@imogen_chloe27) before I went and really liked it. When I bought it they had just one left (I know!) so it was by chance really that I managed to get it. I’m not totally sure whether this is going to live on my chair, my storage stool or as an addition to my bed, I’ve not decided yet. 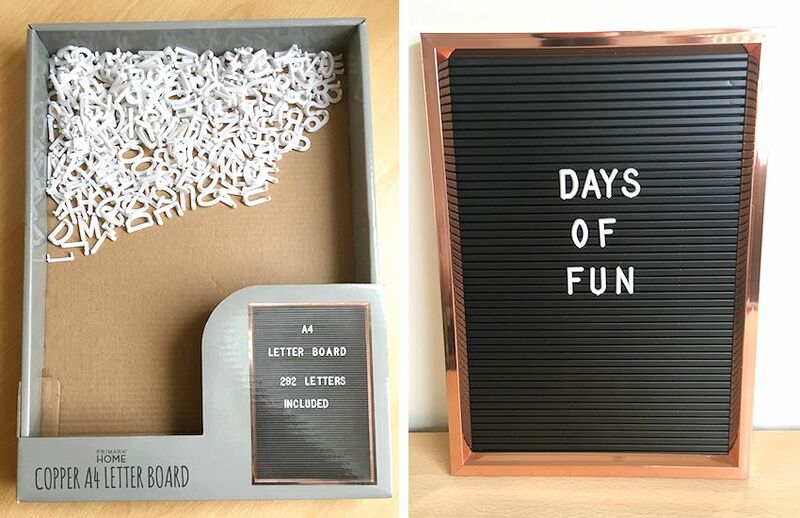 Next up is this letter board, I’ve been thinking about getting a letter board for a while then I saw this one with it’s copper edging and was like okay, I think it’s time I bought one of these… when I’d sorted out all the letters and things (you have to extract them off of lines of plastic) my mum came in at that point and ended up writing Days Of Fun on it (she’s a fan of if too). 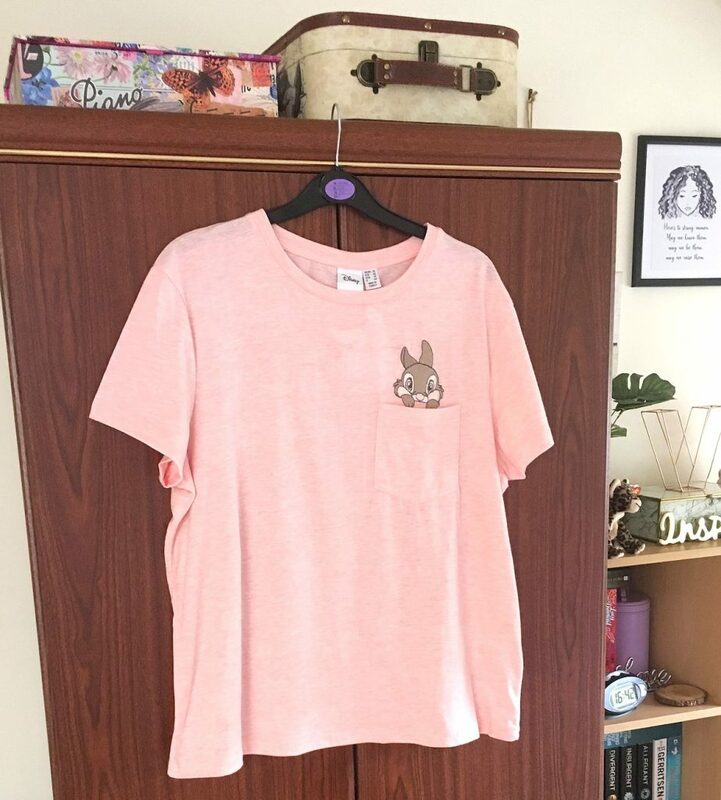 I also bought this very cute Disney Thumper t-shirt, I love how he’s peering over the top of the pocket. I think it’s great how many Disney things Primark has. The only other thing I bought that I haven’t included in the pictures here was another packet of beauty Blender Sponges. What’s your favourite item from what I’ve bought here, have you bought anything from Primark recently? This entry was posted in lifestyle, my style and tagged fashion, homeware on September 15, 2018 by Victoria. I’m so glad you managed to pick one up, wherever it goes it will look perfect! I’ve wanted one of those letter boards for ages too so I may have to go finally pick one up! Great post, their Disney collection is too lovely at the moment! I love the letter board been trying to convince my boyfriend to get me one for my birthday but I’ll see ? love everything ? Oh wow! I haven’t been up to primark for ages but I need to head in to find that Winnie the Pooh cushion now it’s adorable! ?? I love how Primark manage to keep all the cuteness in their Disney products, while still making them look suitable for adult buyers. 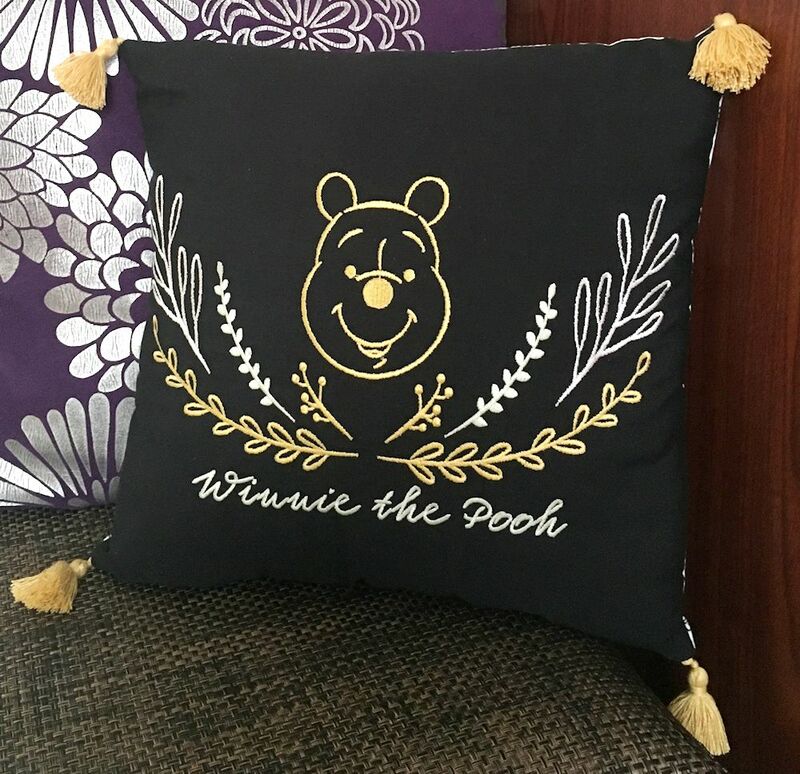 The gold foil and leaf detail on the Winnie The Pooh cushion make it the perfect mix of cute and chic! The pillow is adorable! I wish we had Primark here. Great Primark haul. My favourite item is the gorgeous Winnie the Pooh cushion.